Veselin Jungic is a Professor at the Department of Mathematics, Simon Fraser University. He is a 3M National Teaching Fellow and a recipient of several teaching awards, including the Canadian Mathematical Society Teaching Award and the Pacific Institute for Mathematical Sciences Educational Award. Most of his research is in Ramsey theory and the field of mathematics education and outreach. 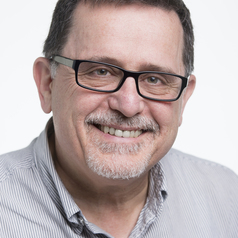 Veselin has been teaching mathematics at the post-secondary level since 1978. He has authored and coauthored papers with numerous educational teams, mostly based on his own teaching practices.